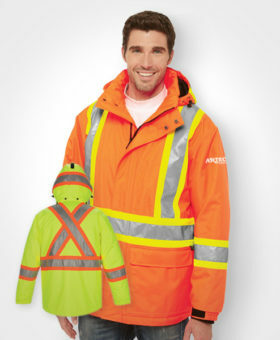 The ideal hoodie for construction workers that need freedom to move around on the site without arm restriction. Sometimes jackets are too cumbersome to perform the duties required on a building site. 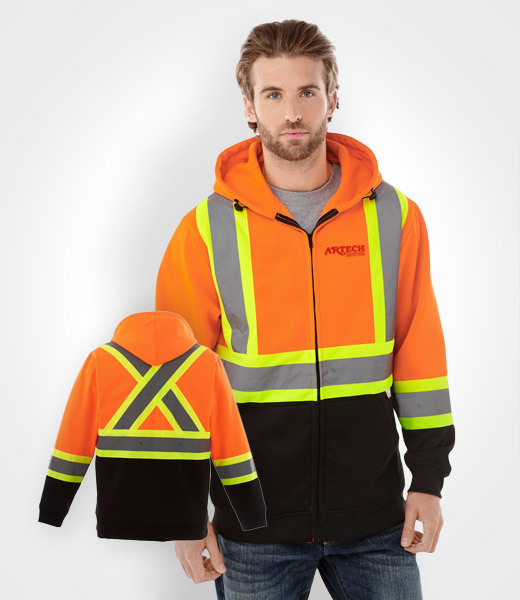 Mobility, visibility and warmth are key in for the industry for Canadians so the CX2 Safety Hoodie is a performer for true north Tradesmen. Buy blank or get custom embroidery or screen printing of your logo.